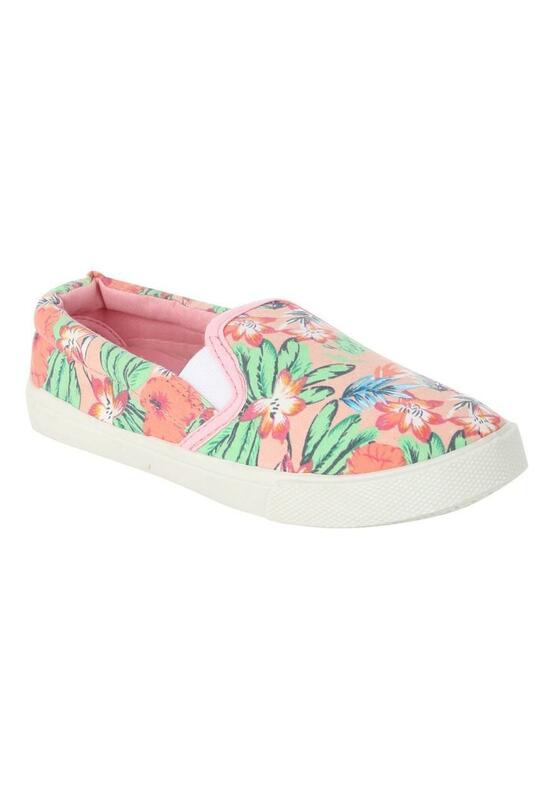 Practicaland stylish, these younger girls' printed skater slip on shoes are perfect for your little girl to play around in this season. 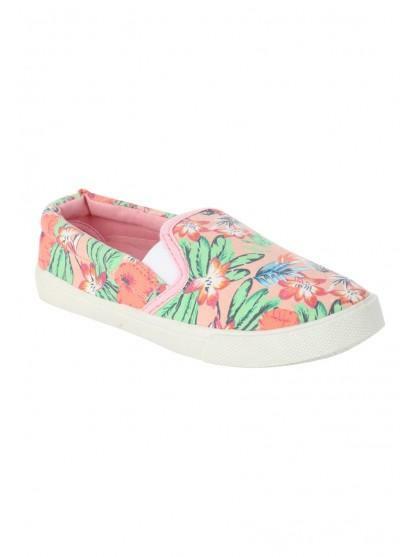 They feature a tropical floral print, almond toe and white rubber sole. Team with a pair jeggings and one of our graphic T-shirts for a cool, nursery outfit.